The definitive pioneering blueprint covering the what, why and how of the blockchain. WILLIAM MOUGAYAR is general partner at Virtual Capital Ventures, an early stage tech fund. He is on the board of directors of OB1, the OpenBazaar open source protocol that is pioneering decentralized peer-to-peer commerce; a special advisor to the Ethereum Foundation; a member of OMERS Ventures board of advisors; an advisory board member to the Coin Center; and founder of Startup Management. 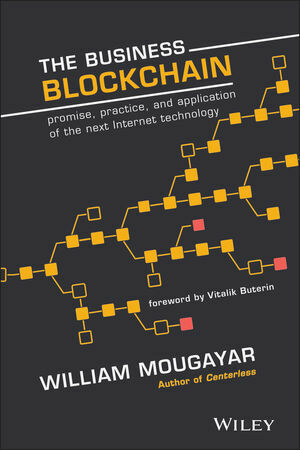 William Mougayar has been described as the most sophisticated blockchain business thinker. He is a blockchain industry insider whose work has already shaped and influenced the understanding of blockchain for people around the world, via his generous blogging and rigorous research insights.